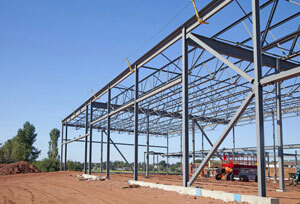 Metal building construction allows for the design and fabrication of large, open workspaces and storage facilities. It also requires complex planning and engineering that should only be designed and implemented by a professional with many years of experience. At McGuinness and Company, our seasoned team has the experience with all the intricate components of the design, engineering and related services of metal building construction. Giving you peace of mind and providing a facility built to last for years.